For the love of socks, indeed! We just can't get enough of the creative and fun stories Swedish sock brand, Sockamore, comes up with! Each pair has a delightful design and interesting name, which are all borrowed from the Swedish Name Day calendar. (Since we're from the U.S., and very curious, we had to look this up and see what it was all about!) We found this little blurb on the 'Swedish Made Easy' blog to help explain - it's a very neat concept. Click here to read more. Since the Sockamore team was generous enough to send us some samples...we have to say, we absolutely loved the packaging! It was so satisfying to "rip" open that little packet that inevitably led to the discovery of a fun pair of socks! To join us in the experience, we've added a short video below; enjoy! *Also, we have a youtube channel - come check it out for more fun sock videos! After our fun little video and photo shoot - we decided to wear the socks around the office space. We usually like to wear all of our sock samples for at least one entire day, because, well, why not? What we love about Sockamore socks is that you can shop in a variety of ways; all online - by pattern, by type, or even, by color! It's fun to just browse around, see what the many options are - and deciding which sock to buy - oh my, that's a whole other story! So, we hope you enjoyed reading a little about Sockamore - what better a place to buy some new socks from, than a company that enjoys what they do, and cares about quality and design. Please check out their wares and shop through the link below - you never know what goodies you may find that you didn't know you needed :) After all, new year, new socks! 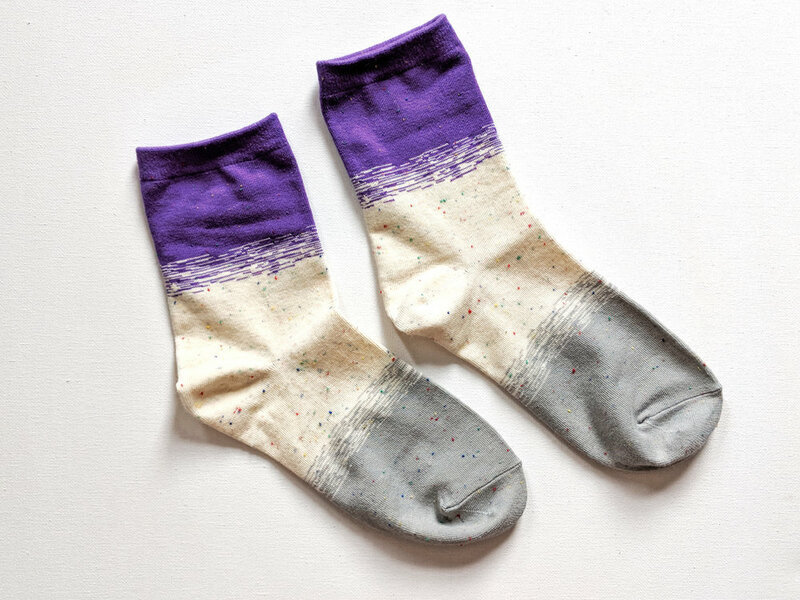 Where to Buy: Sockamore's website, shop here.